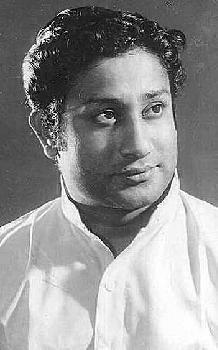 As a versatile actor Sivaji Ganesan had acted in many hundred Tamil films. Many of his films became most successful. Even today his millions of fans would get excited when they happen to hear and view some of his love duet songs. Here below we can enjoy some super hit Tamil video songs of actor Sivaji Ganesan. T.M.Soundarrajan and P.Susheela were then popular playback singers who gave voice to the most of Sivaji Ganesan's songs. The above song is from the movie named 'Ooty Varai Uravu' which was released in 1967. In that movie Sivaji Ganesan played opposite senior actress K.R.Vijaya. The song became so popular because of wonderful music by M.S.Viswanathan and beautiful lyrics by Kannathasan. This could be said as one of the unforgettable romantic songs of Sivaji Ganesan. It was sung by T.M.S and P.Susheela. 'Mayakkamenna Indha Mounamenna' song is from 'Vasantha Maligai', the super hit movie of Sivaji Ganesan released in the year 1972. In the above video song Sivaji played opposite actress Vanishree. By story Sivaji was belonged to royal family and he buit a great place for his lover Vanishree. When Sivaji expressed his love to heroine, the heroine got excited on the great deed of Sivaji. The great music of K.V.Maha Devan made this super hit and lyrics by Kannathasan are really great. Many lacs of fans of Sivaji will love to hear and view this wonderful romantic song. The song was sung by T.M.S and P.Susheela. Palum Pazhamum, released in 1961, is the name of movie in which above romantic song is present. In the above great song Sivaji Ganesan played opposite senior Tamil actress Saroja Devi. The song became so popular because of wonderful music by M.S.Viswanathan and voice of T.M.S and P.Susheela. This is said as one of the ever-green songs of Sivaji Ganesan which would be liked by the millions of his fans. The above beautiful song is from the movie named Anthaman Kathali, released in the year 1977 in which Sivaji played opposite senior Tamil film actress Sujatha. The song was shot in Andaman islands and we can enjoy beautiful sceneries of Andaman in this song. The song became super hit on account of wonderful music by M.S.Viswanathan and mind blowing lyrics. The singers are K.J.Yesudas and Vanijeyaram.